After 4 years of chaos and terrorism and the continuous internal and external attempts to topple the Egyptian state since the 25th of Jan 2011, in order to turn Egypt to another Syria or Libya, it is our right to know who betrayed our country and messed up with our future and our national security. This is not a speculation or a conspiracy theory anymore, this is the history we lived in Egypt with all its ugliness and horror. This article is the beginning of a future articles series to expose all those who deceived not just Egyptians, but many people in the entire world. This part 1 and all future parts are going to be documented with leaked recordings of Muslim Brotherhood and others, whether Egyptians or foreign elements during the 25th of Jan 2011 until the road to the 30th of June 2013 revolution. In addition to Mohamed Morsi’s (former head of Egypt) mobile messages. All leaked recordings and documentations were presented to the Egyptian concerned authorities under case number 250/2011 (the case of the century), by Egyptian Journalist Abd Elrehim Ali. 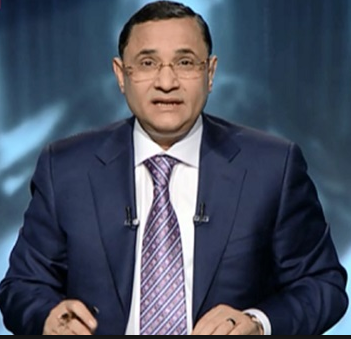 1st, that he provided all documentations and leaked recordings to the authorities as an Egyptian citizen and not as a journalist, because all these documentations concern the Egyptian national security and must be handled and investigated by the concerned authorities in Egypt. 2nd, as a journalist, he preserved his rights according to the law, to publish all leaked recordings and documentations to the Egyptian people because they have the right to know the entire truth after he did his duty as a citizen in reporting to the authorities. When the issue concerns the Egyptian National Security, there is nothing called the right of privacy or the freedom of privacy. My / your freedom of privacy ends, the moment it concerns the lives, the future and the security of others. What do you think when it concerns an entire country and 92 million Egyptian citizens! Those who claim that they are harmed from publishing these leaks, whether they are in Egypt or outside Egypt, they can simply raise a case against the journalist and see what the law is going to say in this regard. By the way, some public and political figures well known in Egypt raised cases against Journalist Abd Elrehim Ali, and they did not accuse him of publishing faked leaks and they did not deny their voices in these recordings, but they accused him of violating their freedom of privacy by recording and spying on their personal life, They even asked the President of Egypt to shut down the channel that is hosting his “Black Box program” and to put the guy in jail! The court declared the Journalist innocent from all cases against him, after he has proven to the court that he did not spy or recorded to any one, the details of how he got these recordings under the case number 250/2011. Last year, I published on this website a series of articles contained leaked recordings, for instance and not limited to, Egyptian political activists, Mohamed Albaradei, 6 of April movement and other foreign elements and the CIA agent Dan Barman recordings with Mohamed Al-Baradei. I apologize to all my readers for not being able to directly translate these videos as subtitles, and the reason for this is just that to do the translation in this way, is going to take a long time and unfortunately, I don’t have all the time I need to spend in this regard. Date of the call: Mohamed Morsi was still in power, and during the MB armed sit-in, in Rabaa square 2013. Hegazy told Abu Ismail that all the Islamist different currents and top leaders including Muslim Brotherhood youth and Abu Ismail’s movement and supporters were asking him, why Abu Ismail was not in Rabaa sit-in? Abu Ismail told Hegazy that the vision and the image was not clear, no one knows how things will go, like what happened in the 25th of Jan 2011 was not clear when it started, and the unclear picture makes things not looking good. From the way things were developing, Abu ismail said that there will be a surrender and giving up from MB’s side. Abu Ismail indicated that due to the street pressure, Mohamed Morsi might call for early presidential elections, or maybe let Al-Sisi or Mohamed Al-Baradei to form a new government. Hegazy told Abu Ismail that according to the only honest confirmed information he has, if there will be any attempts to break into the presidential palace to topple Mohamed Morsi’s regime, they will go to the palace and slaughter everybody. He also said that he has his own licensed weapon and all the people with him, are also armed and ready. Hegazy added that this issue of surrendering, giving up or just thinking about the possibility that Morsi can get overthrown, won’t happen and he in particular won’t allow it, and if this happens, they are well prepared and fully armed, him and all people in Rabaa square and Muslim Brotherhood youth, the Islamist groups youth and other youth are fully armed and are going to cut off many heads. Hegazy confirmed that this story of arresting 17 armed Islamist in Alexandria was not true, he called Tarek Elzomor and he denied the arrest. Hegazy assured Abu Ismail that things are going well and under their control. Hegazy also confirmed to Abu Islamil that what he knows for definite, after having a meeting with Mohamed Morsi the other day, that he won’t gave up the power or the authority and he is not going to respond or call for earlier presidential elections, all this was not acceptable and it was not even opened for discussions. The only thing that he might accept to do is just to do some changes in the government form, and it is not going to include Albaradei or Sabahy or any of these people. Hegazy added that he talked directly with president Morsi, and he confirmed to him that this suggestion of appointing Mohamed Albaradei as a Prime minister is impossible and he is not going to allow it. Abu Ismail asked Hegazy about the constant demonstrations against them in all Egyptian cities, and whether or not he considered these demonstrations a serious problem? Hegazy replied that these demonstrations are not considered a problem at all. Arms dealer: How many ? Arms dealer: Okay, but are you aware of their selling price? Alfateh: Fine, this is not a problem. Tell me, do they have 9mm, and how much it will cost? Arms dealer: Yes there is, but the guy is talking about 35, something like this. Arms dealer: Yes per piece. Alfateh: What about the Russian type? Arms dealer: Not sure I have them in stock, but I will check and let you know after 5 minutes. Alfateh: ok, check and let me know, I have a car and I can come to your place. Leaked recording, Safwat Hegazy and a Muslim brotherhood leader, talking about the severe and brutal torture they practiced on Osama Kamal Mohamed Ahmed after they arrested him in Tahrir square on 3/2/2011 and they believed that he was not a lawyer like his identity stated, but a national security officer who came to the square to spy on them. Hegazy told the MB leader to instruct all those who attended the torture not to mention a word about what they have witnessed, and to claim that what happened was just self defense against this officer who tried to use his gun against their “peaceful demonstration” in Tahrir square. In addition, Hegazy asked the MB leader about the names of the Muslim Brotherhood judges who assisted them in interrogating the suspected citizens that MB have arrested in the square, and were trying to pull out confessions that they were indeed spies and national security officers. The following video is related to the above leaked recording which shows Muslim Brotherhood torturing the Lawyer in Tahrir square, on 3/2/2011. Many Muslim Brotherhood leaders and members and in the attendance of others from Muslim Brotherhood supporters who work as judges in the judicial system arrested Osama Kamal Mohamed Ahmed (a lawyer), while he was trying to join the Tahrir square demonstrations. Muslim Brotherhood dragged the lawyer to a private company for tourism (Safir co) in the Tahrir square, checked his identity and despite that it showed that he was a lawyer, they have brutally beaten and tortured him with electric shocks on different parts of his body, including sexual assaults, and were forcing him to admit that he was not a lawyer, but a National security Major who came to the square to spy on them. Leaked recording of some of the latest messages on Mohamed Morsi’s mobile when he was still in power, and among these messages, a message dated 7/6/2013 from Amnesty International sent to Abd Elmegid Mashali (one of the MB presidential counselors of Mohamed Morsi ), and forwarded to Morsi’s mobile for approval. The message was about that Amnesty was informing Mohamed Morsi, that they reached a good agreement with Muslim Brotherhood about how the International Human rights organizations and NGOs can operate in Egypt, especially after Egypt issued a law to organize the work of these organizations. The message was also about their agreement about the ways they have reached to circumvent around the Egyptian laws in this regard.